The art of serving the table was born in France, in this land of beauty, style and exquisiteness. The times of meridian of French aristocracy are the times that we can still admire due to the fantastic luxury in every detail. What is a classical French dining room? It may be classical – Classique or rustic – Campagne; the first group is more official while the second is simpler. 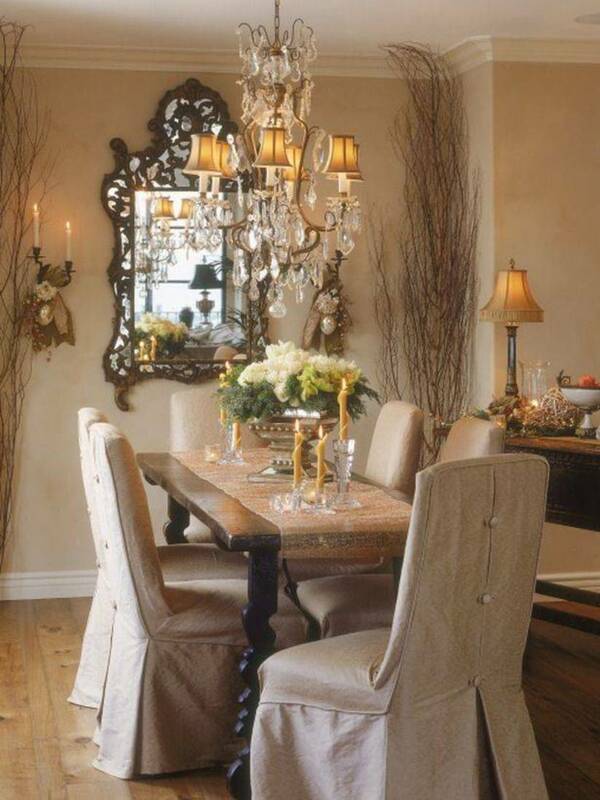 Every interior – no matter, if it’s rustic, garden style or traditional one – brings special French charm to the space. The colors are mostly calm and pastel but there are some ideas with bright accents. So, look for some inspiration below – these are real dining room of real French families, enjoy!